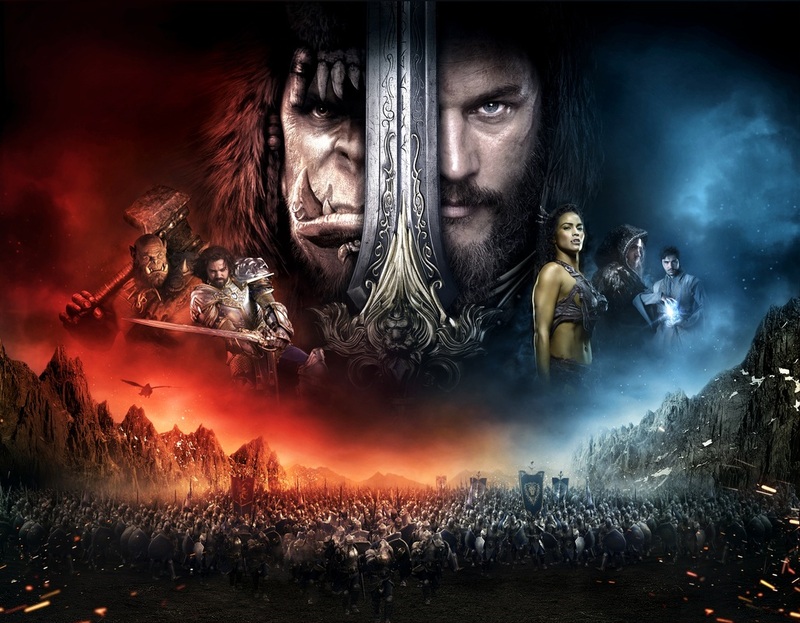 Adapting a property like Warcraft to a film successfully requires appealing to the millions of people who have spent hours engaged in the online game while avoiding alienating a general audience that has a passing familiarity with it. Essentially, the filmmakers have to decide whether it’s worth serving those two masters or deciding to focus more heavily on one to maximize profits. “Warcraft” doesn’t have that problem; the filmmakers created a third decision to appeal to neither the fans nor the general audience, following in the footsteps of just about every video game adaptation. Hell, the whole endeavor is a cluster-flunk, a hilariously out-of-sync film that pays no mind to basic storytelling requirements. Warcraft has little to no idea of what it wants to do with its just less than two hours of story time, opting to cram an immense amount of garbage upon the screen and let the audience sort it out. Good luck to those Warcraft viewers willing to give this challenge a shot; characters come and go as they please, as do their motivations for evil and any logic for every decision made in this movie. Not that the case really helps all that much, as no one among the crew of unremarkables can lift the material more than a foot above the grave its story dug itself. All of those are crazy problems made even more confusing by the presence of Duncan Jones as the film’s director and co-writer. Jones has proven himself a more than capable director and writer, as well as a capable wrangler of talent to boot. Yet Warcraft flops on all three fronts (among every other), almost as if Jones was overwhelmed by the size of the endeavor. Squinting hard enough reveals the possibility of an inkling of a pretty decent film somewhere between the bad dialogue and miserable pacing, perhaps a smaller film with fewer characters or a significantly longer run time. That’s the issue with sticking so close to the game, as the theoretical need to present familiar characters from the franchise’s second game demolishes the narrative flow. And the game itself has a very deep story filled with complexities and sabotage and subterfuge within a magical world of humans, orcs, dwarves and elves. Yet Jones and fellow scribe Charles Leavitt slash the living hell out of it, maintaining a broad outline and removing key character motivations, plot turns, and interesting complexities, presenting what is more likely than not the worst case scenario. That Warcraft fails as a piece of cinema and as a service to the fans is a remarkable testament to a collection of bad ideas. The strangest thing about Warcraft is through all the messiness, chaos and unintentional levity, the purpose of this film is to clearly set up a sequel. The entire final act, including a marvelously campy closing scene, exists to prepare audiences for the next entry for a possible film franchise. It's a bold, supremely arrogant decision that hurts the Warcraft that actually exists and is not just a glimmer of a possibility. Still, this could very well payoff even if the box office returns in the U. S. are less than robust. It's already broken box office records in China, and Warcraft is primed to pull a Pacific Rim and do well enough internationally to justify another go. It’s not exactly the most artistic filmmaking motivation, although there isn’t anything all that artistic about this film anyway.